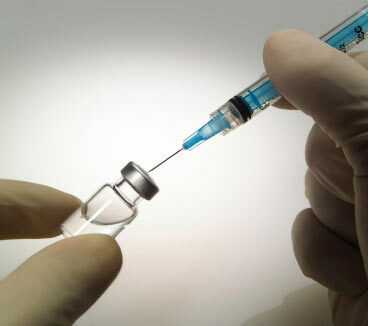 The Coalition government’s proposed “no jab, no pay” policy may inject enthusiasm into politics, but policies mandating vaccination are ethically very precarious. The plan to withhold payments of child-care and family tax benefits for unvaccinated children could cost non-compliant parents up to A$15,000 a year. But is it ethical to punish parents for what should be an individual decision and is based on concern for their kids? Parents are naturally concerned for their children. While some of their fears may be unfounded, not all vaccines are 100% safe; while rare, childhood vaccinations can cause febrile seizures. One of the main reasons for parents' fears may stem from the controversy about the measles, mumps, rubella (MMR) vaccine. Although this fear was famously fuelled by false claims, reviews of multiple scientific studies by the Cochrane Collaboration in 2005 and 2012 show evidence of adverse events associated with that vaccine. Disturbingly, both reviews highlight that the design and reporting of safety outcomes in MMR vaccine studies have been “largely inadequate”. Here’s what lies at the heart of the problem: the risk of adverse reactions from vaccines is actually very small but families unfortunate enough to suffer a vaccination reaction are unlikely to be consoled by this improbability. They may be little moved by the fact that their loss nonetheless served the common good. The “no jab, no pay” policy has harms beyond the physical: it may unfairly deny funds to people who already suffer from hardship. While much attention is given to the half of non-vaccinators who consciously refuse, people have failed to vaccinate for other reasons such as having an ill child, or being caught up in what may be an already difficult separated family situation. People who do not vaccinate for reasons other than disagreement and concern tend to have lower household incomes (60% have a household income less than A$50,000) and lower education levels (34% have year ten or less education). Single-parent households are also over-represented in this sub-population – 21% versus 15% of families nationally. For such people, a policy that links vaccination to family benefits may simply increase their disadvantage. It may even add fuel to family tensions if the problem arises because of a separated family situation and parents with differing views. Yet another potential harm resulting from the policy is that mandating vaccinations fails to respect individual autonomy. This tension between individual rights and the public good has been labelled the “central dilemma” in public health. The counter-argument to these harms is that childhood vaccination can and does save lives. But we now know that not all vaccinations are 100% effective. If they were, there would fewer emotional appeals along the lines of “the anti-vaccine movement threatens us all”. The emotional appeals of the opposing views on vaccination are both driven by concern for children. Some parents fear their children may be harmed by vaccines, or harmed by people around them who aren’t vaccinated. Neither wishes to endanger their child. The ultimate aim of public health is the benefit conferred after taking potential harm into account. In the case of vaccination, the gold standard is achieving herd or community immunity. But the moral challenge posed by this policy concerns what, if any, additional benefit is conferred by mandating vaccinations. 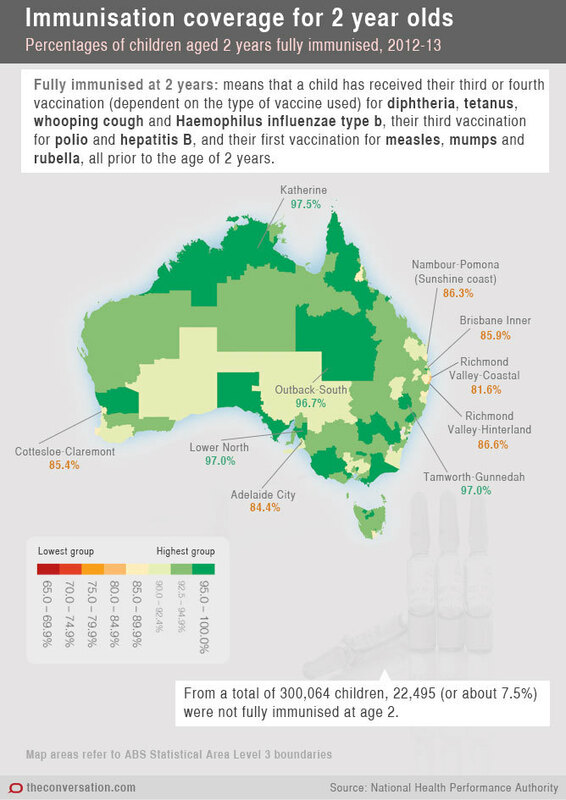 The National Health Performance Authority reports that Australia already enjoys high immunisation rates. Over 90% of children are classified as “fully immunised” by the age of five. And we know that complete elimination of risk of exposure to infected people is unrealistic as reflected in the case of the Brisbane woman who reportedly contracted diphtheria from a friend who had been travelling abroad. Risks of infection will likely always remain, especially because of our unprecedented mobility across national borders. Public health in this instance is about the delicate balance between the desired benefits (protection from preventable disease) and possible costs (adverse events, unfair distribution of costs and undermining individual autonomy). It’s vital that those guiding the community and especially those seeking to impose their view on others are mindful of the complex ethical issues raised by this policy. Indeed, it’s unfortunate that there’s no vaccine against inadvertently engaging in unethical behaviour. If there were, we could administer it to policy makers first of all. Do you have a question about vaccination? Contact The Conversation on Twitter, our Facebook page or leave a comment below and we will try to answer it with an article we’ve already published or by getting one of our expert authors to write an article about it.